A total Eclipse, the only one visible from Europe this year is a spectacular view. The Moon entered the Umbra at 21h30 UT and reached the maximum occultation at 23h30 UT. At that time the photo above has been taken. 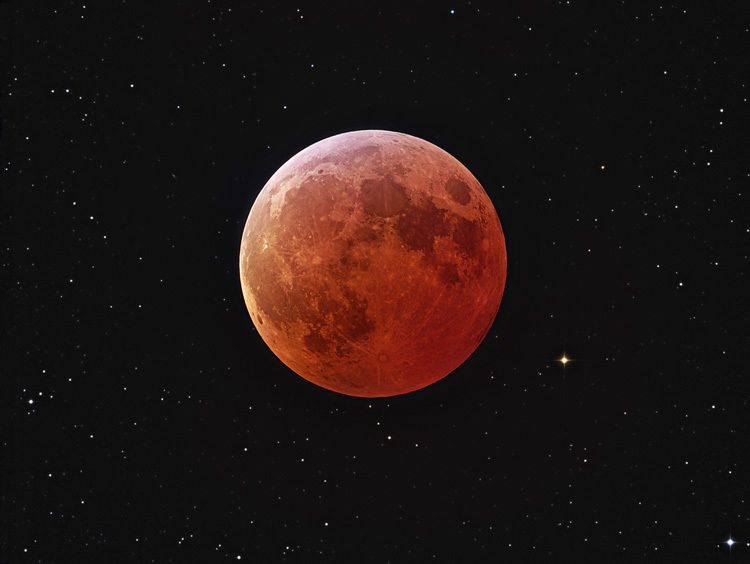 To show the view as seen from the eyepiece of a telescope a combination of 10 sec and 60 sec exposures were combined. A lot of background stars and some galaxies are visible. At 10h the mag 15.6 spiral galaxy PGC 33058 can be seen in the 100% image. 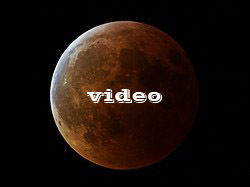 Above you find a link to a video sequence showing the complete eclipse in 1 minute intervals over 4 hours. The video sequence has been taken with the TEC-140 incl. flattener and the Canon 10D, downsized to 50% and cropped.